There was a flurry of excitement over the weekend as Buckingham Palace confirmed invitations to the most hotly anticipated event of the year – Prince William and Kate Middleton’s wedding – have been sent out. And while we’re still waiting for ours, it’s thought David and Victoria Beckham have received an invite, and will be heading up the celebrity guest list on April 29. A whopping 1,900 invitations to the royal wedding were sent out via Royal Mail, with insiders confirming attendees at the special ceremony will include a ‘small number’ of A-listers, and a ‘good proportion’ of soldiers and pilots. 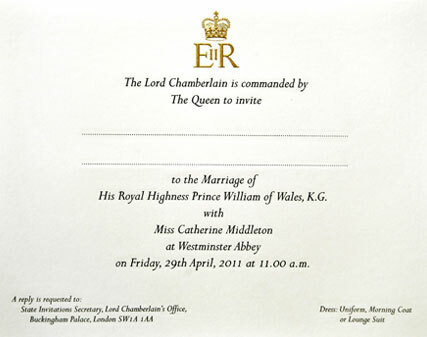 A selection of heads of state, and around 1000 of the happy couple’s friends and family have also been invited. It’s thought David Beckham, who grew close to Prince William as they made the World Cup bid in South Africa last year – won’t be the only celebrity guest. Insiders have revealed other celebrity guests could include TV presenter Ben Fogle and wife Marina, Elton John and Joanna Lumley, confirming The Duchess of York, Sarah Ferguson and President Obama are definitely not on the list. ‘The couple have made their own decisions about who to invite, with input from the Queen and Prince of Wales,’ a senior courtier revealed to the Daily Mail. 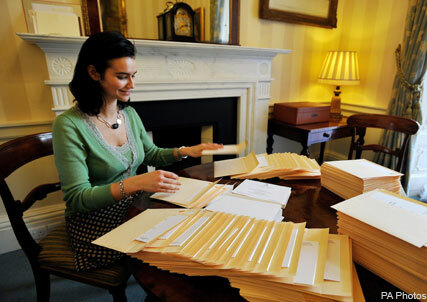 It also adds that guests at the 11am ceremony should wear ‘uniform, morning coat or lounge suit,’ and RSVP to the Lord Chamberlain’s Office, where workers have spent days inserting cards and addressing envelopes. A small number of William and Kate’s closest friends and family will then stay on for a private evening dinner (and dancing!) hosted by Prince Charles. Are you looking forward to William and Kate’s big day? Let us know your thoughts on the royal wedding in the comments box below.